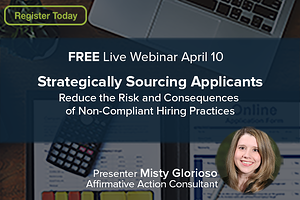 Listen to this enlightening webinar with Berkshire's Affirmative Action Consultant, Misty Glorioso, as she discusses the impact of common recruitment strategies on a company’s federal contracting compliance on April 10. 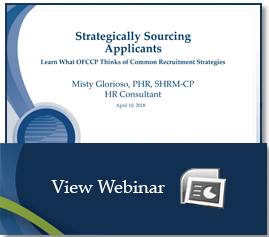 This webinar hosted by JOBfindah will give attendees insight on what OFCCP is expecting when it comes to compliant recruitment practices, as well as receive instruction on defining an Internet applicant, minimizing recordkeeping, and the importance of dispositioning candidates. 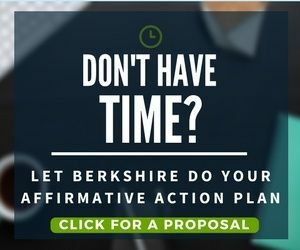 To learn more about this webinar, contact us at 800.882.8904 or bai@berkshireassociates.com.